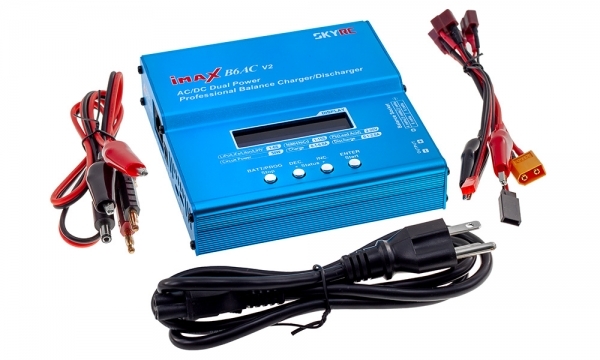 This charger contains a voltage balancer for Li-Po batteries and has an individual cell-voltage balancer. This eliminates the need to check for cell balancing on a separate balancer. If charging capacity exceeds the limit, the process will be automatically terminated when a maximum value has been set. The temperature of a battery that is charging will rise because of its internal chemical reaction. By setting the limit of the temperature, the process will be forcibly turned off when the limit has reached. To prevent damage to the car battery that is being used as a power source for charging, the voltage of the battery will always be monitored. If it drops below the limit, the charging process will automatically end.